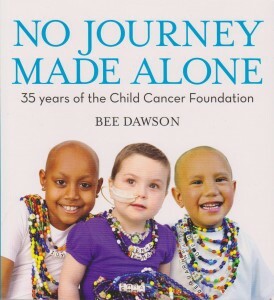 In 1978 the parents of any New Zealand child diagnosed with cancer were presented with a bleak reality: there was seldom hope of a cure and there was little or no assistance for the family during their child’s cancer journey. It wasn’t just the families who had to struggle – the medical professionals who worked with the children also had minimal support as they tried to improve the lot of their young parents. Determined to do things better, a small group of parents and health professionals combined forces to form the Child Cancer Foundation. Thirty-five years later much has changed. Not only has the prognosis for most children diagnosed with cancer improved dramatically, but there is also ongoing financial and practical support for the children and their families and the medical professionals who work in this area. The Child Cancer Foundation works to ensure that every child and their family walking the child cancer journey will never feel alone. It is a unique service.